As if people. That would be crazy. 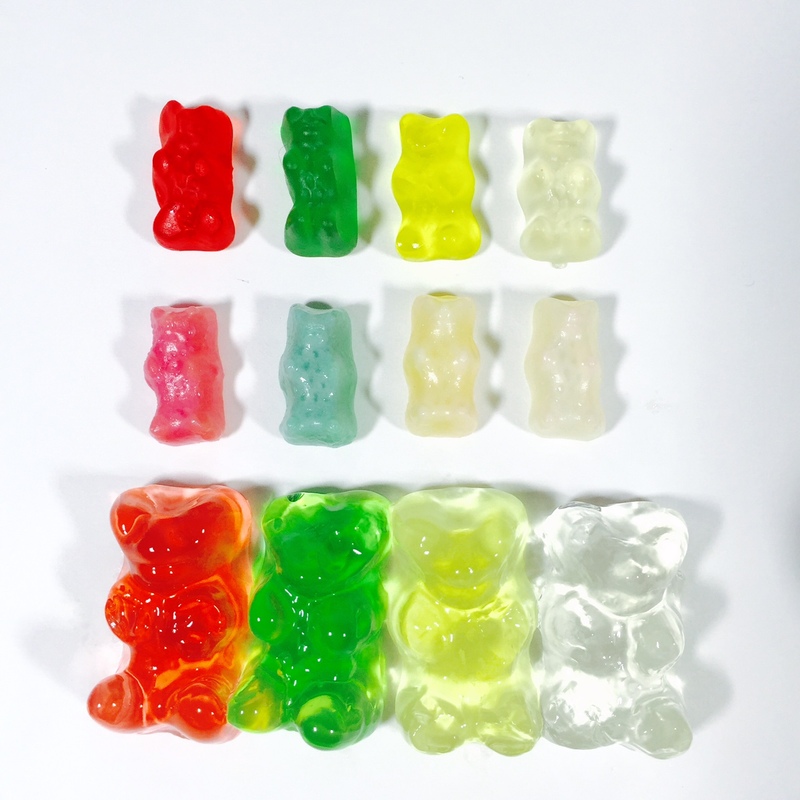 We did conduct a gummy bear grow experiment though, and I would like to share our results with you. You can try this experiment at home with your kiddos. It is a fun way to learn about osmosis and have some sweet treats along the way. Making the salt water solution. 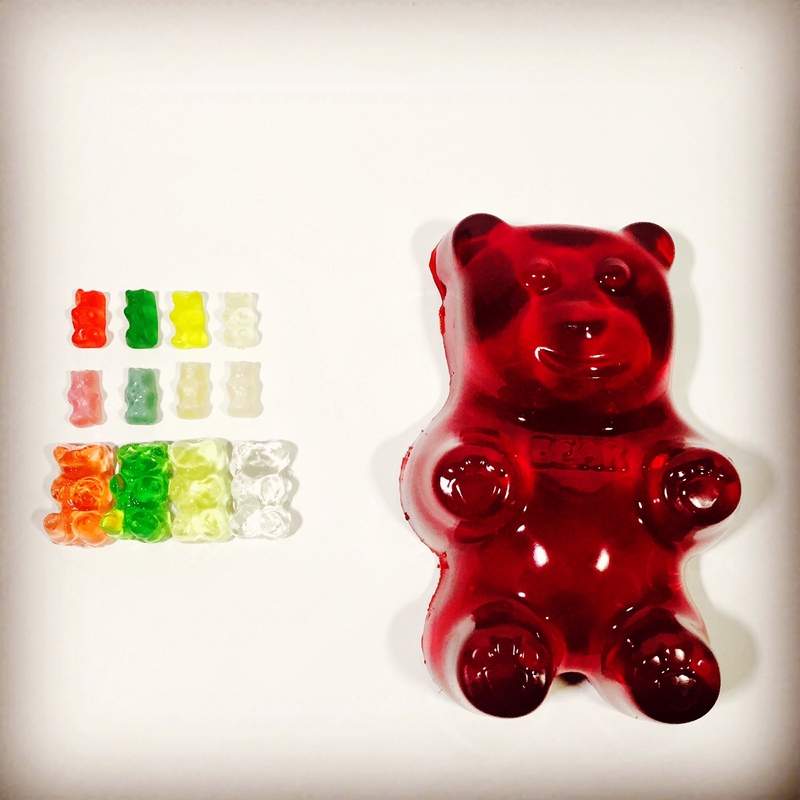 Set aside your control group of gummy bears to make sure they don’t get eaten by your little scientists. Make your hypothesis. What do you think will happen? Examine results and make your conclusion. 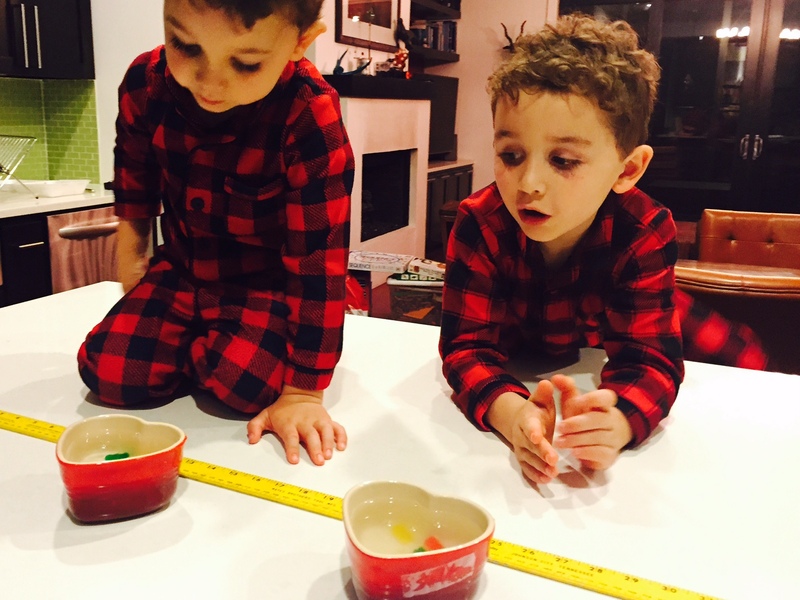 My boys didn’t know what to expect, but they did determine that they wanted to eat more gummy bears and that the ones placed in the salt water would not taste very good. When the boys woke up the next day they couldn’t wait to see the results. 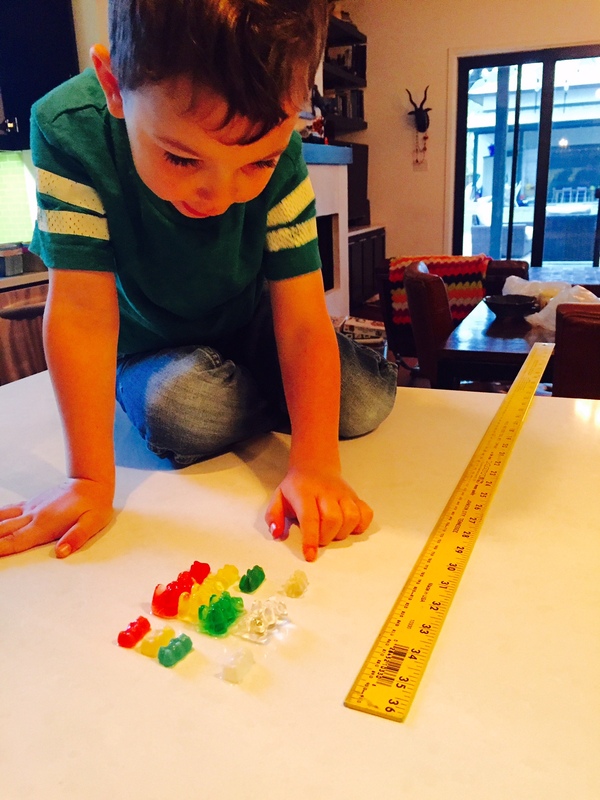 We measured the gummy bears and talked about what had happened to them. I explained to them that gummy bears have some water in them. They know this, since my mom gave them a gummy bear making kit for Christmas and we made that huge gummy bear that I faked you out with in the beginning. When you place the gummy bears in normal tap water they absorb the water and grow. This is called osmosis. Osmosis is a kind of diffusion. In the salt water, the water had to move out of the gummy bears to even out the concentration of water, so the gummy bears became smaller. 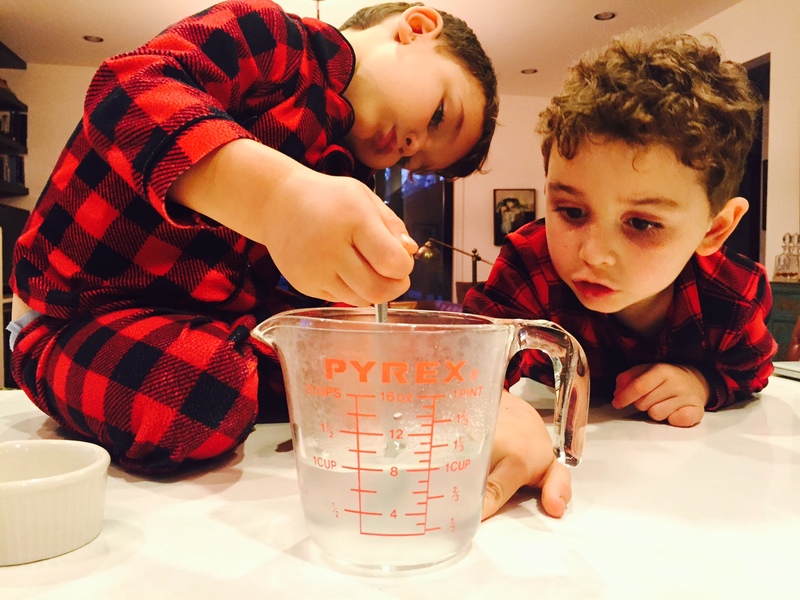 If you try this fun science experiment with your kiddos, please let me know how it goes in the comments below.